Join a team that supports your growth in a career you'll love. We're sorry, but we do not have any job openings based on your search. Stay connected. Receive BrightView job alerts and communications. Sign up below to receive BrightView jobs alerts and communications. No jobs have been viewed recently. 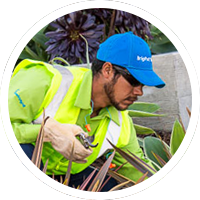 Join the industry’s leading landscape services company, with 22,000 team members who believe taking care of each other is just as important as taking care of our clients. As we design, build, maintain and enhance landscapes across the country, we create new opportunities for success—and bring big dreams to life. Start your success story here.